Story: Mr. Peabody, the most accomplished dog in the world, and his mischievous boy Sherman, use their time machine - The Wabac - to go on the most outrageous adventures known to man or dog. But when Sherman takes The Wabac out for a joyride to impress his friend Penny, they accidently rip a hole in the universe, wreaking havoc on the most important events in world history. 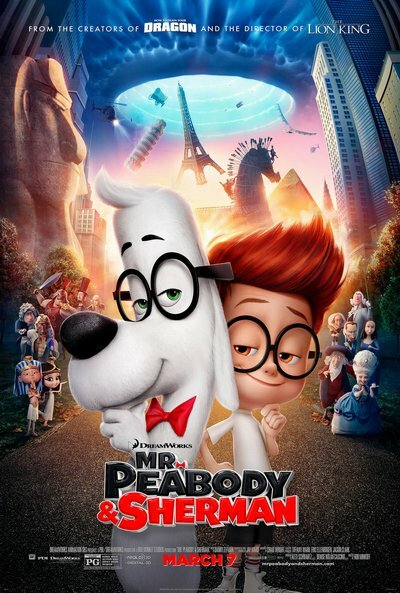 Before they forever alter the past, present and future, Mr. Peabody must come to their rescue, ultimately facing the most daunting challenge of any era: figuring out how to be a parent. Together, the time traveling trio will make their mark on history. Based on the classic cartoon series appearing within the Rocky and Bullwinkle TV series.